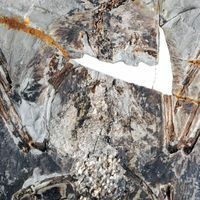 A controversy over pterosaurs’ plumage has taken off, with a new discovery pushing feather origins back 80 million years into the early Triassic. 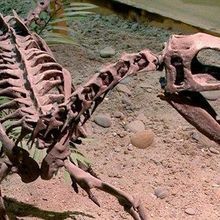 A fossil from the Cretaceous Period shows similarities to modern avian species. 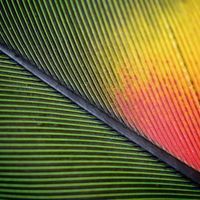 Despite containing similar chemical pigments, red and yellow parrot feathers display distinct hues. 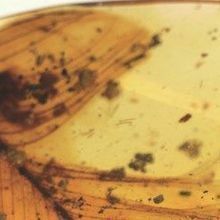 Scientists have found the oldest known specimen of a blood-sucking insect together with the remains of its host. 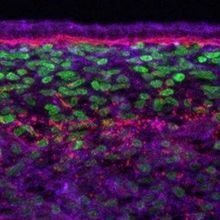 In a developing chicken embryo, skin cells pull on each other, forming multicellular mounds that eventually turn into properly-spaced feathers. 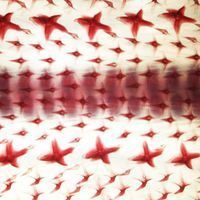 The first-of-its-kind sample includes both vertebral segments and feathers. 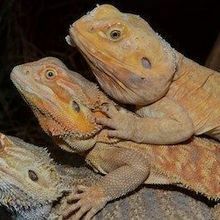 Reptiles, birds, and mammals all produce tiny, bump-like structures during development. 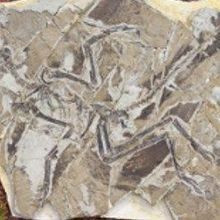 Researchers confirm that some microscopic imprints in fossilized dinosaur feathers are pockets of melanin. 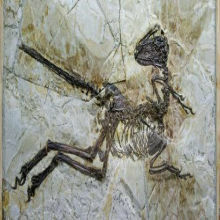 A newly discovered relative of Velociraptor had abundant plumage and birdlike wings.